Karen L Messick Photography: image evolution, breakin the rules and what if's? 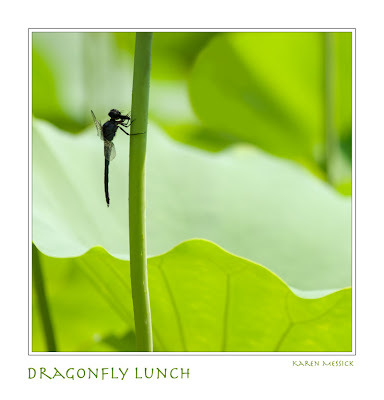 While doing some quick shooting at Kenilworth Aquatic Gardens on Friday, I made an image of a Dragonfly eating an ant while cool in the shade of a big green lotus leaf, hanging on with his feet in a vertical position...it was not the first image I wanted to process from that shoot. It was the prettier ones I went for first. But I did process it..and looked at it again and again...First I thought it looked best cropped into a square.....then I watched a little demonstration by Craig Tanner of The Mindful Eye today, who suggested the image he had processed could also be a diptych. That gave me an idea for the dragonfly eating lunch...so playing around with that idea I came up with this presentation. I also played around with snapart Impasto filter and applied it to the canvas as well as the image. It moved the light around in cool ways, that I liked in the dragonfly image above. Well it was something to play around with tonight. Evolution......below....DF Lunch 1 is processed with the Pointillism filter in Snapart2....while the same image Dragonfly lunch is the original photo squared up. Your Snapart mirrored diptych is very creative! And, I'll have to try some flowers in full sunlight more! Great work, Karen! Karen, you are an inspiration! Sorry I missed you at Kenilworth. I was out there with Kelvin this a.m. 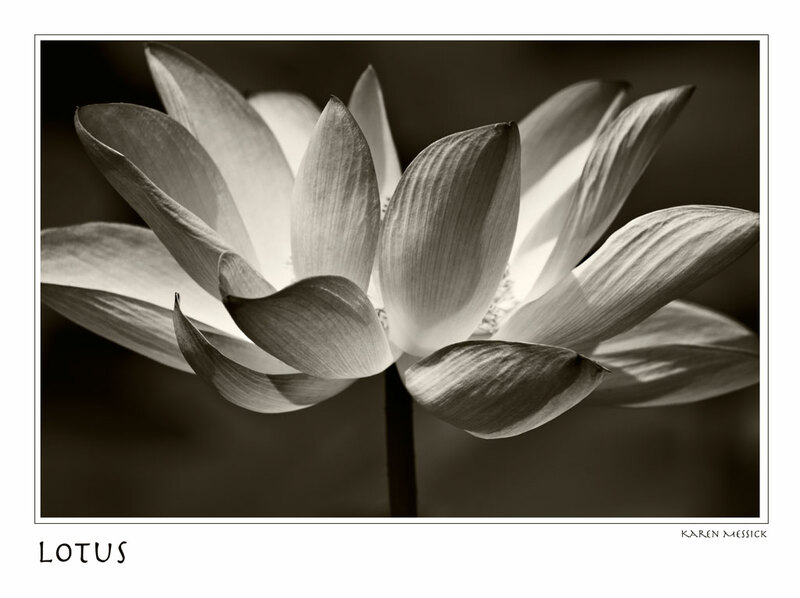 Thanks Arthur, my black and white muse, who helped me "see" in black and white! 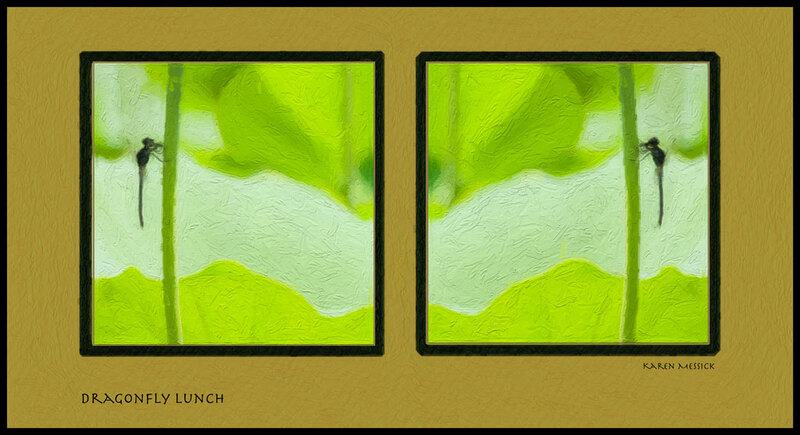 Thanks Barbara on the diptych, it was fun to put together. Debbie, oh sorry to have missed you too! And glad you are finally getting around again!